Florida Virtual School began as an experiment to see if online learning could be tailored to students’ needs to help them succeed. Today, FLVS offers two distinct programs with the same shared goal: addressing the unique learning needs of every child. As school counselors, we are often asked about the differences between FLVS Full Time and FLVS Flex. Parents want to know which option is best for their child. As they are very different programs, it’s important for families to understand their options and choose the one that will best fit their student. Don’t miss the infographic at the bottom of this post to help in your decision-making! FLVS Flex offers year-round, rolling enrollment so students can start and finish a course at any time. Public, private, and home education students can utilize FLVS Flex courses. Students who choose not to attend a physical public or private school can register as home education students in the county of their residence. A variety of learners can benefit from a flexible schedule, including those with medical needs, athletes, students who need to catch up, and those who want to get ahead. 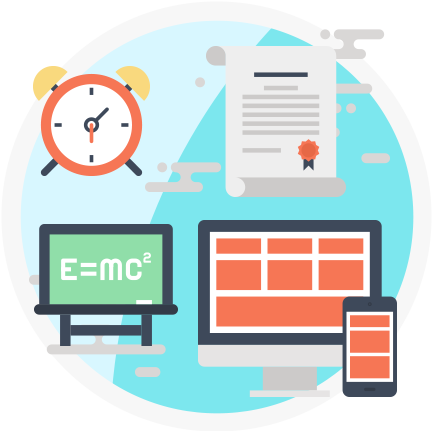 With FLVS Flex, students can focus on fewer courses, but work at an accelerated pace to finish in less time. They can tailor a schedule that works for them! FLVS Flex teachers are available from 8 a.m. – 8 p.m. Monday through Friday. Home education students who take FLVS Flex courses are not required to participate in state standardized tests. However, if they plan to register in a Florida public school at any point in the future, they are welcome and encouraged to participate by contacting their local Home Education Office. 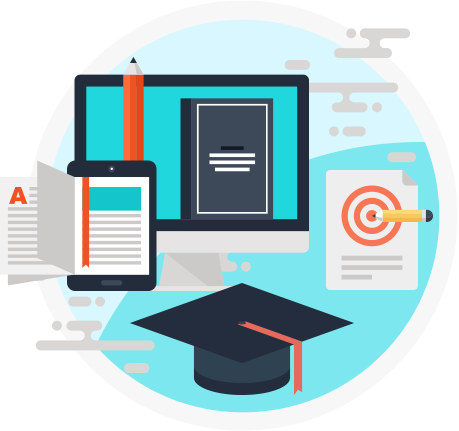 Homeschool students with FLVS Flex do not earn a traditional high school diploma; instead home education parents graduate their students by completing the Home School Affidavit. FLVS Flex offers regular, honors, and Advanced Placement courses and home education students are welcome to dual enroll at their local state college/university if admitted by those programs! What is FLVS Full Time? FLVS Full Time works much like a traditional public school, with the exception that students work from the comfort of their own home! Like in a traditional physical school, classes start in August and end in May and students have a load of six courses at one time – no more, no less. Teachers are available from 8:30 a.m. – 4:30 p.m. and the student’s day is more structured than in the FLVS Flex program with school-specific announcements and student activities. Students are required to work in each course each week to stay on track with the traditional course schedule. FLVS Full Time also offers regular, honors, Advanced Placement, and Dual Enrollment courses with Polk State College. Because FLVS Full Time is a public school and serves as the student’s school of record, students are required to participate in all state standardized testing. The Full Time program coordinates testing and manages records for their students. FLVS Full Time students are public school students and therefore can earn a state-issued high school diploma. Students are also able to participate in a traditional graduation ceremony at the end of their senior year once all their graduation requirements have been met. The similarities are important too! Both options offer Florida public school curriculum taught by Florida certified teachers. Resources abound with live lessons, guided notes, video tutorials, and more that are available to help our students. No matter which path they take, families can feel confident that their student will be receiving an amazing education that will take with them forward in whatever their future holds. This entry was posted in Full Time Edition, Homeschool Edition, Parent Edition, Student Edition and tagged Advisement, Benefits of Online Education, Benefits of Online Learning, Difference between FLVS Flex and Full Time, Florida Virtual School benefits, FLVS Flex, FLVS Flex vs Full Time, FLVS Full Time, FLVS Homeschool, FLVS Options, FLVS Programs, Free Online Courses, Free Online Curriculum, Free Online School, Grades K-12, Homeschooling with FLVS, Online Learning, Virtual School Benefits, Virtual School Graduation Requirements on June 8, 2018 by Anne Flenner. THANKS FOR THIS VERY CLEAR DETAIL EXPLANATION OF THE TWO PROGRAMS. I REALLY APPRECIATE IT. Thank you!! This was extremely informative! One question – if a student attends FLVS fulltime program, but finishes some courses early in the semester, can they enroll in a flex class on the side to get ahead? Yes, that’s an option! Our FLVS Full Time school counselors can offer more specific advice and recommendations in circumstances like this. If I want my kids to start the Flex program in August, how far ahead of time should they register for classes? Hi Kim! You can sign up for Flex anytime and select your preferred start date in advance. The sooner you sign up, the sooner we can ensure that they are placed and ready to go by that date. Hello. We were told when we started FLVS two years ago by FLVS that Flex was only available to kids in homeschool or B and M schools. Brennen sings and acts so we need flexibility. We did Full Time FLVS and at times it was hard having so much to do with her other activities. Both years we wrapped early April and have been sitting around to August. Would we benefit or is it possible to do Flex as a full-time option and do her core and other classes through only Flex til she gets to high school? We were told not to do Flex full-time bc she won’t graduate through them. Also, I was told that the FLVS FT was changing this year and becoming more like a B and M with scheduled mandatory times now. Is this true? Hi Jill. That’s correct – FLVS Flex allows homeschool students and those attending a physical brick & mortar school to take online courses. Many families prefer to homeschool and take all of their courses online with FLVS Flex. If this is the route you choose for high school, you will keep your own portfolio and student records to show that your student meets all high school graduation requirements. However, if you want to receive an official diploma from FLVS Full Time with us being your public school of record, then Full Time is the way to go. FLVS Full Time offers structured flexibility. Since the schedule follows the typical school year calendar, it offers experiences that are similar to a traditional school, including morning announcements, face-to-face events, and live lesson schedules – but it is still very flexible for students who perform, travel, etc. Great. Thank you for the info. 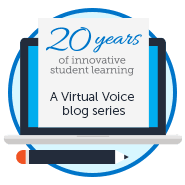 What platform will FLVS middle be using this year? I assume the platform will be the same for both Flex and FT? We are currently FT and going on the middle school this year. FLVS Full Time students currently login through Focus (the school’s student information system) to view their dashboard and access courses. This is different for Flex students who login through VSA (our Virtual School Administrator system) to view their dash and access courses. However, the platform for courses themselves is the same! Educator is the our Learning Management System (LMS) used to navigate the course curriculum. If a student is in the flex program, can they switch over to the full program in senior year? Can a student enroll into a B&M school during senior year? If so, are there any special requirements like testing? Yes, it is possible to transfer to FLVS Full Time during high school and participate in graduation as long as the student remains on track with any required EOC and FSA exams. These can change based on state requirements, so it’s always a good idea to check in with one of our school counselors to confirm they will have everything needed before submitting their FLVS Full Time application for enrollment! Is placement testing offered? I ask because math has been an issue to find the right curriculum. Thanks! 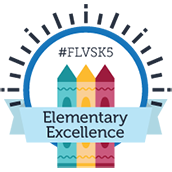 FLVS Flex does not have placement tests and we know that it can be a bit tough getting set in the best course at first. The best thing to do is to reach out to your FLVS counselor at 407-513-3587 and they can talk with you about what your student has completed so far and talk through the standards of each course to find the best fit! Also, we have our 14-day grace period where you can try a course out to make sure it is best. If it is not the best fit, we will then know to move up or down a level based on a students needs! Once we get the first math set, the rest is easy! Hope this helps! Hello, this will be my first year homeschooling and I have enrolled my 2 kids in the Florida flex program. We are looking for flexibility to travel. One child in 1st grade (elementary program) and my other a 6th grader (middle school program). Will the Fl flex curriculum courses for middle school satisfy the Florida requirements for 6th grade ? I enrolled my 6 grader in science, world history, math. Language arts and Spanish. Do I have a total number of class credit requirement in order to satisfy 6 grade? Also, Do I need to have my 6 grader take a standardized test in order to continue to 7th and submit results to the Florida department ofceducation? What are my requirements for 6 grade homeschooled kids? We plan to homeschool our kids up to the 8th grade middle school years only, then enroll them into a high school. Hi, my son is a regular student of a HS public,he needs to complete 0.5 credit of English 2 for his graduation requirements, the question is if he can gets the Flex program to complete his credits and can this consider a credit for the Online course at the same time? Thanks !!! Hi there! Flex courses do count toward graduation requirements. If you need more advice, we recommend reaching out to a guidance counselor at your school or FLVS! I have a question, my son is currently enrolled to start the full-time program. However, I just learned he will need to be on the computer at certain times every day for class. The reason we homeschool is due to so many dr apt etc. would it be wiser for me to put him in the flex program so he can work at his own times? Hi Jessica. The schedule for FLVS Full Time is similar to a traditional school with more frequent classes (particularly for elementary). Both programs are similar, but Flex may be a better option if you want a bit more flexibility! Hello. My son just started junior year at our local public high school in Melbourne. Is it possible for him to now switch to full-time FLVS at home, or is it too late? Thanks! Hi Kelly! Enrollment has closed for FLVS Full Time (our full-time public school option) for 2018-19, but your son can register as a homeschool student anytime during the year and take all of his courses through FLVS Flex. FLVS Flex offers rolling enrollment – so he can start a new course at any time. That said, we will be reopening enrollment for second semester at FLVS Full Time later this year! Hello, my child is attending public school for his junior year but wants to make the switch to virtual school for his junior year and return back to his current school for his senior year. As enrollment is closed for the fall 2018-2019 course for flvs full time, can he still take flvs flex throughout the 2018-2019 school year and complete his junior year? Hello, my son is enrolled in Flex and from what I understand, if he enrolls in full time for the next semester, all of the work that he did for flex (several months worth) will be credited towards full time. Would he just pick up where he left off? How do we know when and where to attend state testing. If he does get enrolled in full time, I’d hate to see that he did all those months of flex and get no credit and or have to start over. Hi Dawn! If your son is able to finish the first segment (that is, semester) of his courses during the fall, then he should be all set to go if he enrolls with FLVS Full Time in the spring. Feel free to reach out to one of our Flex school counselors at 407-513-3587 with any other advisement questions specific to his situation! What are the days and times they have to be online for the Full Time program? Hi Erin! The schedule varies by grade and courses taken, but FLVS Full Time students have morning announcements and live lessons (or “Class Time” in elementary) Monday through Thursday this year. Independent work can be completed at any time. On average, students in grades Kindergarten-3 will have 20 hours of work to complete per week, and grades 4-12 will have 25 hours per week. Hope this helps! I’ve tried asking the live chat this question twice and no one knows the answer. He will be in 5th. And I’d like to start him for the Spring Semester. How do I find out the hours? What time morning announcements and classes are, etc. thank you so much for answering! Hi Erin! Morning Announcements for elementary begin at 8:40 a.m. followed by class until 11:30 a.m. We can send you the schedule for 5th grade with more information. I am currently enrolled in FLVS flex, and I only have 1 class left for 9th grace which is algebra 1 but I am nearing the end of segment 1 of algebra 1. i want to enroll in full time for spring as a 10th grader, Would i be able to? would i have to complete segment 2 before i enroll? Can i take Flvs flex for most of high school then in junior or senior year switch to Full time so i can graduate or do i have to do full time all of high school in order to graduate with a diploma?? I also didn’t take grade 9 FSA since it isn’t required for flex, will that hold me back? I really don’t want to enroll back in a actual public school since i get bullied a lot and have trouble with certain things. I hope all is well! I’m going to have your school counselor, the amazing Ms. Washington reach out to your directly to help! You can reach her at mwashington@flvs.net as well. hi, it is any test, that can help me see in what level is my son, to place him on the flex course and make sure he learn what he don’t know? Hi there! We recommend speaking to one of our counselors. Give us a call at 800-374-1430 and we can direct you to the correct counselor for his grade. My daughter is in her second year of middle school with flvs. This upcoming school year I would like her to take 2 classes — Spanish and an Elective — at a public middle school. Please advise. Hi there! We recommend reaching out to the school’s counselor or one of our FLVS counselors directly for help with this. https://www.flvs.net/student-resources/flex/advisement. I just switched from public high school to homeschool. I am trying to register for FLVS Flex and had a question about scheduling. At my high school we had to/ I was taking 7 courses, how do I add another course to the recommended 6 courses to meet this requirement and finish earning my credits? Hi Braleigh, I hope all is well! Most students with FLVS Flex take 3-4 courses at a time as we find that is the best amount for online learning. You can take up to 6 at a time, but that is the limit. The best thing to do is to contact your FLVS School Counselor to talk with them about your goals and they can help you make a great plan of attack! Please call 407 513 3587 and ask to be connected to your school counselor! Thanks! Hi Anne, you are awesome to respond so thoroughly to all of the questions asked. My two kids are doing flex this year, grade 3 and 4, and are both doing well. Still we’d like to switch them into full time for the upcoming 2019/2020 school year, or at least by middle school.. I read in one of your replies above that, on average, grades 4-12 will have around 25 hours of work to complete per week. Is this in addition to the live class time? If so, that would mean live class until lunch, and then the additional 25 hours means 5 hours more 5 days per week? So from 12:30 or 1 til past 5 pm M-F? Seems like too much…so maybe I’m misunderstanding? Thanks again for all of the info. So very helpful! Hi Robert! So glad to help! With FLVS FT, it’s about 25 hours total (including live lessons, studying, working on assignments, etc.). I have a 10th grade student attending regular high school. We would like to transition her to FLVS Flex very soon. My question is, since it’s mid school year, will the work that she has already completed in school still count, or does she have to start over when she starts the flex program? In other words, would she be able to pick up where she leaves off or does she have to start over? Thanks! So I was wondering with full time, if you already did flex and you’ve finished a full subject(s) (like all English and Science for example) and only have 3 courses you can possibly take left to do, can you still do full time? I noticed that you have to take 6 courses at once, so I was a bit confused on that. I was also wondering if the criteria on the standardized testing would be the same that you learn in the courses? Also, would you have to go somewhere to take it, or would it would be online? Due to sports our schedule needs to be flexible. We currently are enrolled in the flex program. However I do want my child to get a diploma. What option is best to be flex and also get the diploma needed to go to college and continue the sports and education. Currently I want to make sure we are within the right program or what is needed to fit the program school with a flexible sport schedule. Hi Michelle. Both options can allow for a flexible sports schedule, but FLVS Full Time has a set weekly schedule that keeps students on track following the traditional school year calendar. Homeschool students with FLVS Flex are still able to attend college and demonstrate that they met all high school requirements. That said, if receiving an official diploma as a graduate of FLVS is important to you, FLVS Full Time may be the best fit for high school. Feel free to give our counselors a call if you need more info! I am currently enrolled in Flex but can I enroll in FLVS Full time later? Yes. FLVS Full Time follows the regular school year, so you can enroll during open enrollment periods. FLVS Full Time is currently open for enrollment for the 2019-20 school year. Hello. I withdrew my son from 8th grade public school today. He did ok in the first few months, but because of some issues he had a lot of absences. Now he failed his core classes. Can he make up what he failed with Flex (from now and whole summer) and be able to enter 9th grade this year? Hi there. We recommend speaking to our counselors who can offer guidance in these situations. You can find their contact information here: https://www.flvs.net/student-resources/flex/advisement. My daughter quit at private school and moved to full time flvs this second semester of 2019, we travel a lot and that was the reason for the change, but now we found out that with flvs full time she has to be sometimes pending of the phone call for the dba. we found the flex program and we really want the homeschooling in order to move her to flex program, but I understand that every end of year, a authorized teacher has to review all of her work if she is a homeschooler. if she does flex would that be necessary and will flex work if we are three months out of the country and then comeback and go again?? 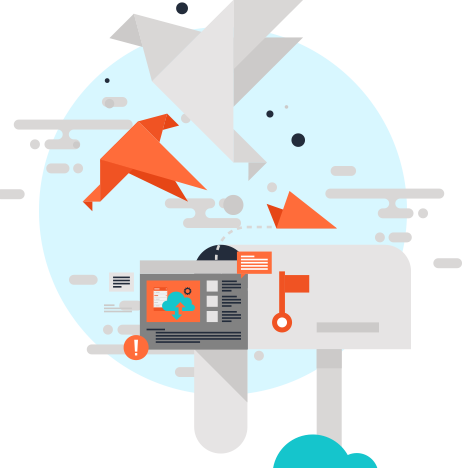 Both programs require DBAs throughout each course. In terms of scheduling, Flex does not require students to follow a semester-based calendar. With FLVS Flex, you will register as a homeschool student with your county to take all of your courses online. Annual homeschool evaluation requirements depend upon the county (for example, an end-of-year review from a teacher who can view your FLVS transcripts and/or work). However, this usually does not impact a student’s ability to travel out of the country as needed. Hope this helps! Thank you very much for your response, yes it helps a lot, a couple of weeks ago we went out of the country and my daughter was not able to receive phone calls in order to attend to the DBAs and she was behind, maybe with flex that will be a little bit less strict ?? so in order to switch her from full time to flex, the procedure will be: have the letter of intent signed and stamped by Seminole County public schools office, withdraw her from full time and then apply for flex? Yes, there will still be DBAs with Flex, but a little more flexibility without required start or end dates for individual courses. And yes, that is exactly what you’ll need to do to switch! You can enroll in courses with FLVS Flex anytime during the year.